UNISORB® grouting materials have been carefully developed to provide optimum performance, even in the toughest applications, along with unparalleled ease of preparation and placement. 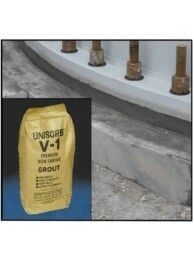 50-Lb Pail - UNISORB® Concrete Repair Compound™ is designed for use in making fast repairs of c..
50-Lb Pail Extended Set- UNISORB® Concrete Repair Compound™ is designed for use in making fast ..
V-1® Non-Shrink Grout is a cement-based, flowable, non-shrink grout that develops extremely high com.. 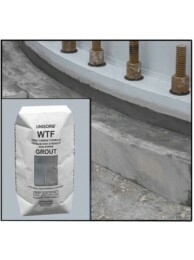 Originally developed for the critical grouting of Wind Turbine Generator base structures to their fo..